What facilitates the awakening of Divine consciousness within groups, organizations, communities, and cultures? How can I become a clear conduit for such consciousness? How can I become a clear and conscious conduit for Spirit’s unfolding now? A losing of self . . . an emergence of Self . . . a silence without anxiousness . . . an enveloping awareness that discerns and commits to right action . . . effortless action . . . an intimate partnership with energies beyond the material realm . . .
• groups of individuals who have gathered for spiritual inquiry. What’s not to be excited about? To be a conscious co-conspirator in the unfolding of the evolutionary impulse—does it get any better? To be present with, bear witness to, and support diverse groups of people learning how to create spaces of intense discernment and right action is pure joy for me. This has always been true, though the forms have evolved. I began group work as a community organizer, helping residents of communities without many economic resources learn how to build relationships of common values among people from diverse backgrounds, discern their collective voice, and claim their power. For the last 15 years, I have designed and led large-scale community and organizational change efforts in multiple contexts. 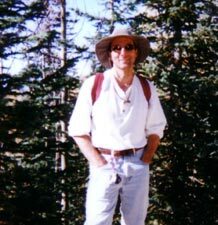 I have developed a particular approach to designing and facilitating these efforts that reflects my own experience and skills; I have been influenced by the work of many, including Ken Wilber, A.H. Almaas, Bert Hellinger, Robert Fritz, Carol Gilligan, Daniel Quinn, Mark Friedman, and many others. I am particularly committed to designing processes for circumstances that require action now, and am passionate about helping to translate more esoteric and spiritual concepts into language and frameworks that can have immediate impact in the everyday life of communities and organizations. I have been able to discern dimensions of the invisible realm for as long as I can remember. My mother was an alcoholic. From the time I was a very small child, I could apprehend the sometimes subtle, sometimes dramatic shifts in the emotional reality that flowed beneath the surface of our family’s life. Throughout my life, I have felt an intangible but profoundly real connection to Spirit. This connection has manifested in myriad ways: an insistent sense of calling; a lifetime of experiences of synchronicity; dream and waking states of hyper-reality; physical vibrations in my body; communication with energies beyond the material realm; and myriad moments of knowing that are beyond my experience and conscious mind. In November 1998, at a large gathering convened in Mohonk, New York, I was blessed by a “threshold-crossing” experience that profoundly challenged many of my hypotheses about Spirit, God, and the universe. 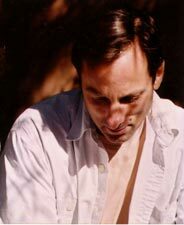 In large part because of that experience, and the meaning I began to make of it, I stopped my consulting practice in June 1999 and moved to Santa Fe to begin intensive dream work, meditation, and writing about how to integrate my relationship to and understanding of Spirit in all that I do. Since returning to my work in September 2000, I have been involved more intentionally in experiments and writings about collective wisdom. At one level, I would welcome contact from anyone who feels drawn to contact me from reading what I have shared here. We will discern together what that impulse to connect has to reveal. More concretely, at present, I am particularly drawn to Bert Hellinger’s work and its potential implications for large-scale community and organizational change work. I would particularly welcome engaging with people who are drawn to explore how to integrate work with the energies of the land, ancestral energies, and other energies beyond the material realm into more traditional change contexts.